Meow! 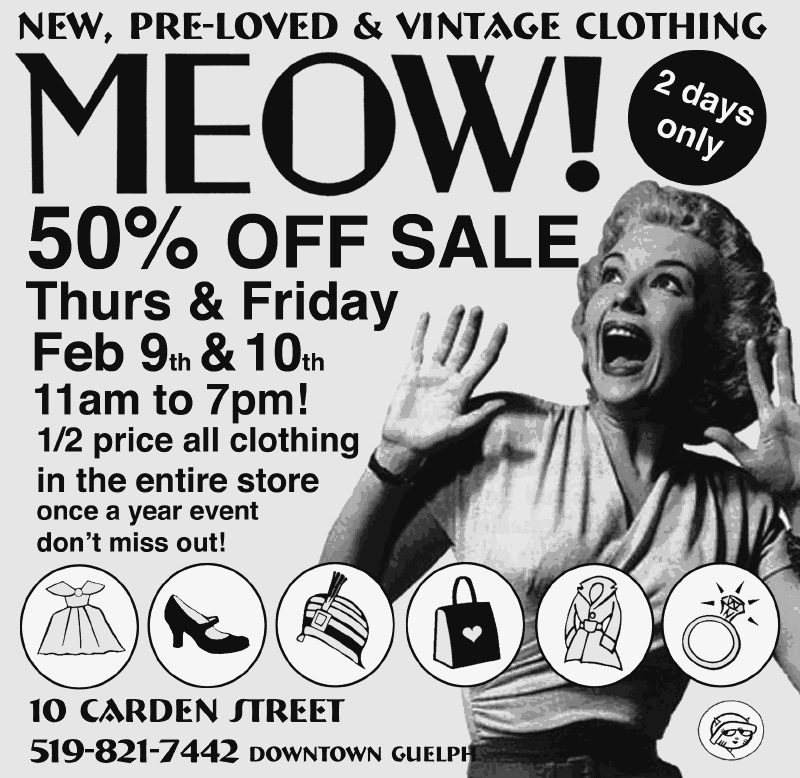 : Half Price Sale at Meow! 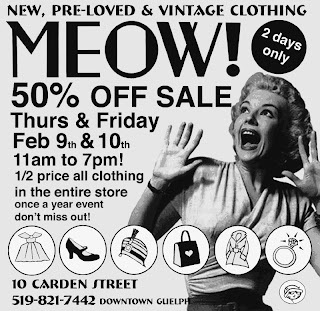 Half Price Sale at Meow! Half-price on all clothing in the store. We only do this sale event once a year. Check it out!